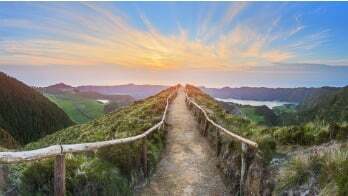 Most of us think about our birthdays just once a year, but if you have an IRA and are getting close to celebrating your 70th birthday, you also need to think about your half-birthday. That’s because you must start taking required minimum distributions (RMD) soon after turning 70½.If your 70th birthday was before July 1st 2018, you must take your first RMD no later than April 1st of 2019. If you delay your 1st RMD to April 1st of the year following the year your turn 70 ½ you will have two RMDS for that subsequent year. Once you are into your 70s, you will continue to take at least one RMD by December 31 every year. If you don’t take the RMD, the tax law states that you will owe a penalty of 50% of any amount you did not distribute that is a part of your RMD. Q: When do I need take my first RMD? A: You must take your first RMD by April 1 of the year following the year in which you turn 70½. This date also applies to owners of businesses who participate in an Individual 401(k) plan. Q: When do I reach age 70 ½? A: You reach age 70 ½ on the year that contains the 6th calendar month after the date of your 70th birthday. Example: Your 70th birthday was June 30, 2018. You reached age 70 ½ on December 30, 2018. You must take your first RMD (for 2018) by April 1, 2019. Q: What is the deadline for taking subsequent RMDs after the first RMD? A: After the first RMD, you must take subsequent RMDs by December 31 of each year beginning with the year containing your required beginning date. Example: You turn 70 ½ on July 15, 2018. You must take your first RMD, for 2018, by April 1, 2019. You must take your second RMD, for 2019, by December 31, 2019, and your third RMD, for 2020 by December 31, 2020. Q: How do I calculate my RMD? A: Your RMD is generally determined by dividing the adjusted market value of your IRAs as of December 31 of the preceding year by a life expectancy number that corresponds with your age under the Uniform Lifetime Table [Table III in IRS Publication 590, Individual Retirement Arrangements (IRAs)]. The age used on the table is the age you would attain as of your birthday during the year. If your spouse is your sole beneficiary, and is more than 10 years younger than you, you have the option to use the Joint Life and Last Survivor Expectancy Table (Table II in IRS Publication 590) which will reduce the amount required. For Individual 401(k) plans, the Employer/Plan Sponsor is responsible for calculating and distributing the RMD from the plan. Failure to distribute the RMD for plan participants will jeopardize the plan’s qualified status which has tax consequences including plan disqualification. Q: How should I take my RMD if I have multiple accounts? A: If you have more than one IRA, you must calculate the RMD for each IRA separately each year. However, you may combine your RMD amounts for all of your IRAs and withdraw the total from one IRA or a portion from each of your IRAs. You do not have to take a separate RMD from each IRA. Although, if you have more than one defined contribution plan, you must calculate and satisfy your RMDs separately for each plan and withdraw that amount from each plan accordingly. Q: May I withdraw more than the RMD? A: Yes, an IRA owner can always withdraw more than the RMD. However, you cannot apply excess withdrawals toward future years’ RMDs. Q: May I take more than one withdrawal in a year to meet my RMD? A: You may withdraw your annual RMD in any number of distributions throughout the year, as long as you withdraw the total annual minimum amount by December 31 (or April 1 if it is for your first RMD). Q: What happens if I do not take an RMD? 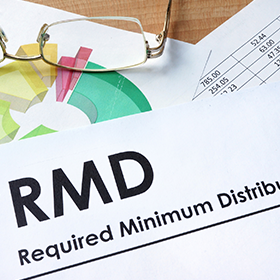 A: If the distributions to you in any year are less than the RMD for that year, you are subject to an additional tax equal to 50% of the undistributed RMD. For Individual 401(k) plans, not only will the employer be subject to the 50% penalty, it could also be a disqualification issue for the plan. It is recommended for the employer to go through the IRS and or the Department of Labor’s correction programs if an RMD is failed to be distributed. Check with a tax or legal advisor for assistance with the programs. Note: There are no RMD requirements for a Roth IRA while the owner is alive. However, designated Roth accounts are subject to the RMD rules. The designated Roth account balance in an Individual’s 401(k) account is included in calculating the individual’s RMD for the year. For more information, please review IRS Publication 590-B: Distributions from Individual Retirement Arrangements (IRAs).